At Salamanca Place, enjoy a wander through the art galleries. What makes the Salamanca Market so unique? 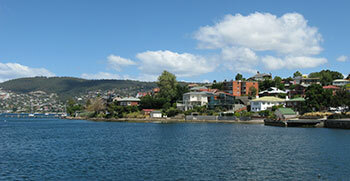 For one thing, it has an awesome location in the beautiful city of Hobart. If you like looking at sandstone (like I do) you will enjoy admiring the beautiful old sandstone warehouses that have been converted into cafes, shops, art galleries and restaurants. Not far away is the water's edge. When you feel like taking a break with a snack, you just need to walk a short distance to be greeted by lovely water views. And if you wanted to jump on any of the water rides, they are conveniently close by too. 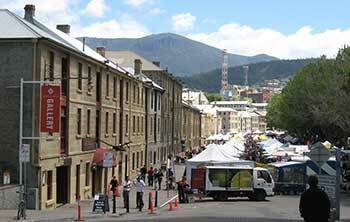 You are very close to Hobart city itself should you need to go there for any reason. Then of course there is what the market itself has to offer. As you will find at many markets, the products available are not easily found elsewhere. You might find a product that you love so much that it brings you back to the very market where you found it, just so you can get more of the same! (For example, in Sydney, I need to return to a certain market to obtain the honey I've grown to love as I can't get it anywhere else). So that's what makes the Salamanca Market so unique - the special-ness of the location as well as the products. I made sure to walk past every stall at the market as I didn't want to miss out seeing anything. And yes I did buy some terrific products that I have never seen anywhere else. Food and drink? No problem. 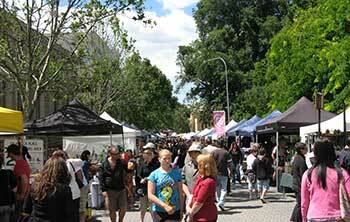 Just grab something from the market stalls, or else stop by at a cafe or restaurant in the old sandstone buildings. Depends on what takes your fancy at the time. A market is always one of the best places for getting your hands on quality local products. 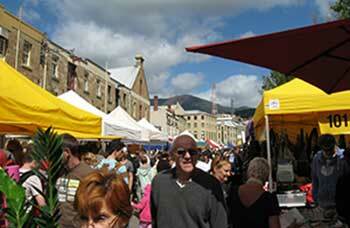 And this is certainly the case for Tasmania's most famous market.